Dillon was eligible for the prize after winning one of two heat races early Saturday. He then finished ahead of three other qualifiers in the feature race to claim his second bonus since 2014. The incentive applies only to drivers who are eligible for XFINITY Series points. Dillon crossed the finish line in the Richmond 250 .226 seconds behind winner Dale Earnhardt Jr.
"To finish second, to run the way we did all day was just impressive for us," said Dillon. 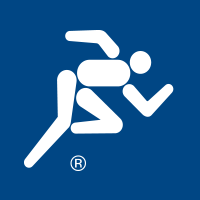 To finish second, to run the way we did all day was just impressive for us. This was Dillon’s second top-10 finish in the #3 WESCO Chevy this year. He placed seventh in the Boyd Gaming 300 in Las Vegas last month. Dillon is now third in the XFINITY point standings. He’ll be back in the WESCO Chevy July 16 in New Hampshire. 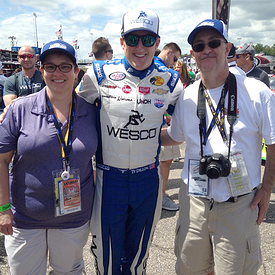 WESCO was honored to give two lucky fans an unforgettable experience at Saturday’s race. John Hines from Winchester, Va., was the Grand Prize winner of our “Ultimate Fan Experience” promotion that ran last month. He and his wife Kimberly received a complimentary trip to Richmond to meet Dillon and enjoy a weekend of VIP treatment.